Here is a very unique gun that just arrived at my doorstep yesterday! 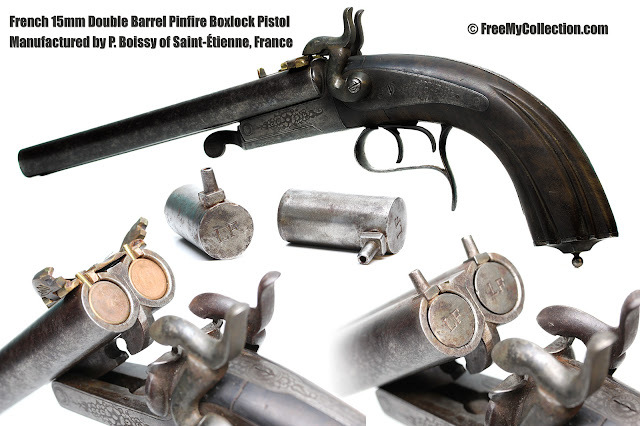 At first glance it seems like any common 15mm double barrel pinfire boxlock pistol but it is quite different. This pistol has a few unique features. First it was made to work with the included 15mm percussion adapters which could be used with readily available powder, caps and balls if one ran out of pinfire cartridges. To use these adapters the rear sight/safety/pin-holder would be removed by unscrewing one screw which allowed the larger auxiliary adapters to fit in the holes. 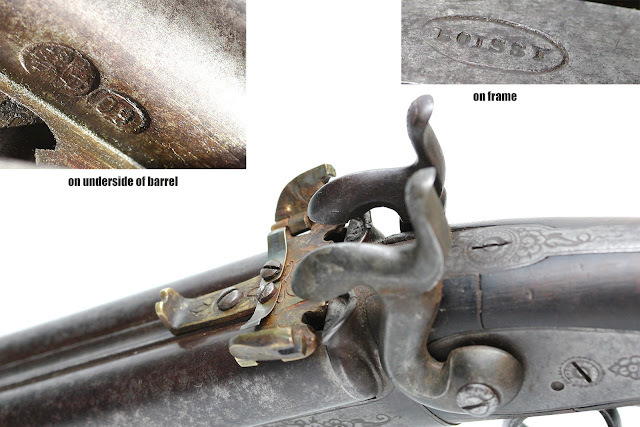 When using it with pinfire cartridges, the piece that was removed to allow use of the adapters would be placed back on the gun and screwed back in. This partially fills the larger hole to allow a pin from a pinfire cartridge to be held steadily in place. Many of the higher quality pinfire boxlock pistols have sliding safeties which would protect the cartridges from untimely detonation but this one has a unique way of protecting the pins. 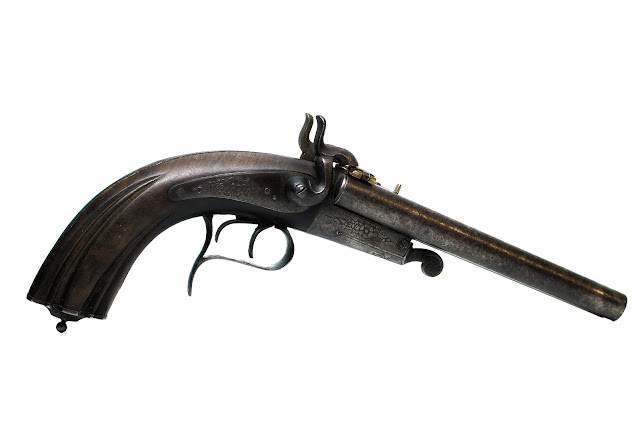 It has spring loaded, hinged safeties that automatically spring open when cocking the hammer, allowing for quicker firing.